The key elements that comprise Competency Area #5 are outlined below. These can be used as touchpoints in determining whether your TA project helps advance your ACO or CP in this competency. Models of care: ACOs and CPs develop, implement, evaluate, and refine models for providing coordinated care, as well as targeted and intensive complex care management, for the unique population(s) of MassHealth members they serve in order to ensure that care and services are easily accessible, appropriate, and cost effective for every MassHealth member enrolled in the ACO or CP. Member responsiveness: ACOs and CPs draw upon member data and qualitative insights into member characteristics, preferences, and needs in order to ensure that all models for care coordination and complex care management are designed and implemented in a manner that is highly responsive to the unique population(s) of MassHealth members the ACO or CP serves. Data exchange and communication: ACOs and CPs develop and maintain infrastructures and workflows that facilitate communication and exchange of member data across all entities involved in care coordination and complex care management in order to facilitate the ease and effectiveness of such activities. Training and resources: ACOs and CPs provide and facilitate access to training and resources on care coordination and complex care management for all clinical and non-clinical members of care teams in order to support a strong and stable workforce and ensure that all care team members can engage capably and confidently in new models of care. ACO/CP Integration: ACOs and CPs develop, implement, evaluate, and refine shared models for providing coordinated care and complex care management across ACO-CP partnerships in order to ensure that MassHealth members with the most complex behavioral health, long-term services and support, and health-related social needs benefit from comprehensive and seamless systems of care. Assess gaps in care management for complex ACO members: An ACO engages a TA vendor to identify existing gaps in care management processes for members with two or more chronic diseases. Following the assessment, the TA vendor works closely with leadership, clinical teams, and members to develop potential solutions to identified challenges, and helps lead the ACO through PDSA (i.e. Plan-Do-Study-Act) cycles to determine the most appropriate solution(s) to implement system-wide. Strengthen PCP engagement with the CP Program: A CP engages a TA vendor to improve integration with the members’ PCPs or PCP Designees. The TA vendor provides insights into best practices for integrating primary care into the community-based organization’s processes and culture. This project also addresses Competency Area #3 in that it helps the CP better access and apply data to improve member care. Revise and enhance ACO’s care coordination training resources: An ACO engages a TA vendor to assess existing training resources on care coordination and revise and enhance curriculum as necessary in the context of new ACO workstreams. 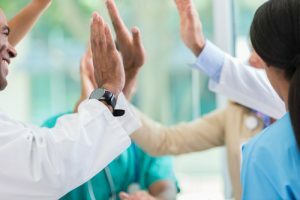 Updated curriculum for clinical and non-clinical members of care teams will bolster existing staff competencies in care coordination and complex care management. This project also addresses Competency Area #2 in that it facilitates access to relevant training to support a strong and stable workforce.